Litter louts have been ordered to pay a combined total of £1,750 in fines and court costs, in a stark warning about dropping rubbish on Fenland’s streets. Five defendants were prosecuted at Peterborough Magistrates’ Court last week for littering offences brought against them by Fenland District Council. The offenders had been issued with on-the-spot Fixed Penalty Notices (FPNs) of £75 by enforcement officers as part of the council’s Tidy Fenland crackdown on littering and dog fouling crimes. But refusing to pay the fines saw them brought to court and hit in the pocket with a £350 bill – more than four times the cost of the FPN. Councillor Peter Murphy, the council’s portfolio holder for the environment, said: “These prosecutions send out a clear message that we mean business when we say we won’t tolerate people dropping litter and dog fouling in Fenland. He added: “If people don’t drop litter and pick up after their dogs then they have nothing to worry about. The prosecutions came just days after a review of the council’s enforcement work revealed a district-wide reduction in the amount of litter being dropped. It also comes as the council begins to tackle spitting and urinating offences under the same environmental powers used for littering and dog fouling, following calls from the public. With a daily £1,000 bill for street cleaning and repeated complaints from residents about rubbish and dog mess, the council launched the Tidy Fenland campaign in May in a bid to change attitudes and behaviour. Environmental patrols were stepped up, with private firm Kingdom supporting the council’s existing enforcement officers for a 12-month trial. At a six-month review of the trial on November 28, the council’s Overview and Scrutiny Committee heard that more than 1,000 hours of additional patrols had been carried out by Kingdom officers – and more than 900 FPNs issued to offenders. Members also heard that out of 19 litter hotspots identified across the district with the help of local residents, 15 have shown a reduction in the amount of litter dropped. 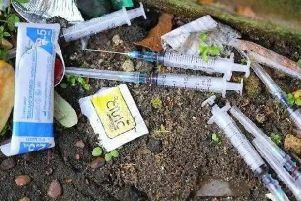 Wisbech has seen the biggest improvement, with less food and drink cartons, takeaway wrappers and cigarette-related litter in all seven hotspot areas measured in the town (Norfolk Street, High Street, Wisbech Park, The Crescent, Hill Street, New Inn and Oil Mill). There has also been a reduction in all types of litter in West End Park, March; High Street, Chatteris; and Market Street and Victory Avenue in Whittlesey. Support from Kingdom officers has also freed up the council’s Street Scene team to deal with fly-tipping, with six £400 FPNs being issued for the offence so far this year.